The man responsible for making what has become one of the most famous alleged alien films in the world recently spoke the the UK’s Metro News, admitting that he had created the video. He says he made it as a joke, but he regrets that it has fooled so many people. One of the men who paid for the creation of the film told the Daily Express that although the film is fake, it was based off of real footage. However, there are many reasons to doubt this account. 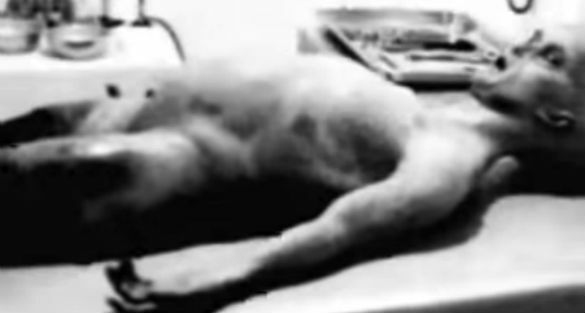 What has come to be known as the “Alien Autopsy” in UFO circles was first made famous in a TV documentary in 1995. 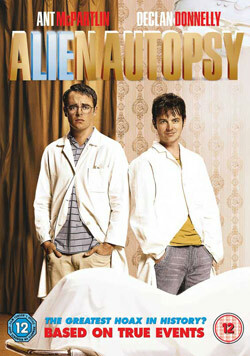 The show was called Alien Autopsy – Fact or Fiction, produced by Robert Kiviat in 1995 and hosted by Star Trek’s Jonathan Frakes. The film was purportedly of an alien that was recovered at the famous alleged crash of an extraterrestrial spacecraft outside of Roswell, New Mexico in 1947. However, it was quickly picked apart and was found to be fake. Still, the filmmakers purportedly made millions. 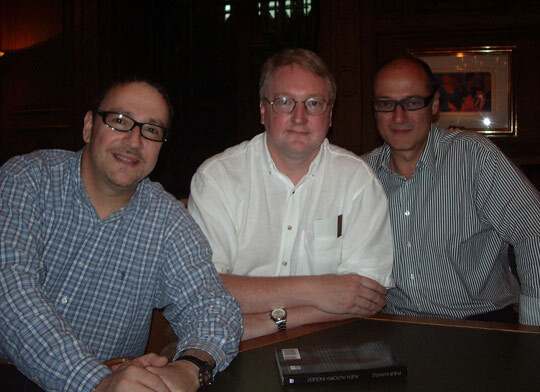 The movie was owned by Ray Santilli and Gary Shoefield. 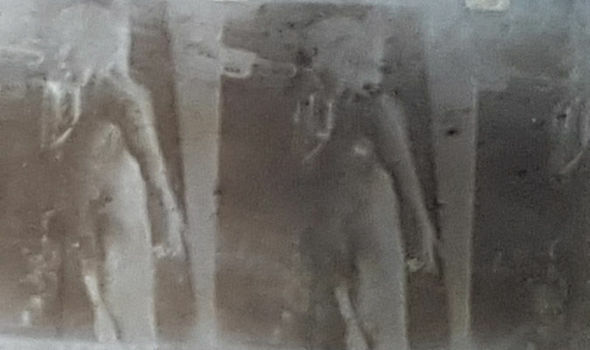 To defend their participation in the hoax, Santilli claimed that they really were given a piece of film of the alien autopsy by a mysterious cameraman who they say they confirmed was a US Air Force cameraman in 1947. They claim the film had deteriorated, so they hired people to make a recreation. Spyros Melaris told Metro News he was the guy hired to make the film, but he says the whole thing came from his imagination, not any mysterious footage. Melaris says he hired sculptor John Humphreys, a special effects expert, who among other shows, has worked on Dr. Who. Humphreys created the aliens, and for the innards, they obtained cow and lamb organs from a local butcher. To further fool people, Melaris says they spliced their footage into real 1947 newsreel to look more authentic. As for Humphreys, he has also come forward regarding his involvement. UK UFO researcher, and frequent contributor to OpenMinds.tv, Philip Mantle has been investigating the Alien Autopsy for years, and has corresponded with Humphreys. Humphreys also, ironically, worked on a movie about Sheffield and Santilli’s creation of the hoaxed film. It generally followed Santilli’s claim that they had seen real footage and tried to create it. The movie started comedy team Anthony McPartlin and Declan Donnelly, known as Ant and Dec. At the end of the movie, after the two had been exposed as hoaxers, they receive the “real” footage, but it was too late. This “real” footage was grainy black and white film, and sure enough, rumors started that the footage used in the movie was the real footage Santilli had seen. This rumor was supposedly given credence by Santilli himself. When confronted, he told Mantle that he could not talk about it, adding to the mystery. Humphreys was not so shy. He told Mantle that he had created the props for the entire movie, including the new black and white film at the end. But the story does not end there. As recently as today, the Daily Express released an exclusive interview with Santilli who stands by his claim that the real footage exists. In fact, he provided an image that allegedly shows a piece of the real film. However, he still will not reveal the name of the man who provided him the film. Gareth Watson, an actor who played a doctor in the fake video, says he was also lead to believe there was real film footage and he saw it. If Watson is right, and the footage is of such poor quality, how could they have recreated it? 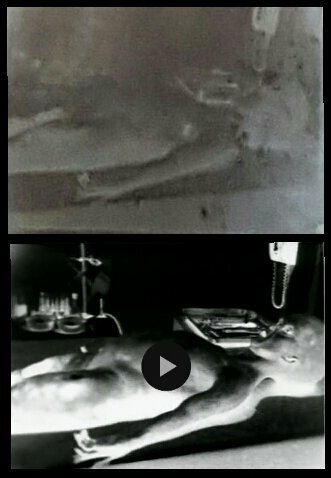 At one point, years ago, our organization was offered the opportunity to examine a piece of the “real” film, but we were told we could not be proved a piece that had an image of the alien or anything else from the autopsy footage. But it was allegedly a piece from the reel. Without being able to prove that, it was not worth our time. But let’s take a closer look at the image Santilli provided the Daily Express. Scott Brando runs ufoofinterest.org. He is also active on social media and carefully examines UFO and alien claims. He tweeted me something he noticed, which is that the image Santilli provided the Daily Express looks like a negative of a still from the hoaxed alien autopsy video. Of course it is also scuffed up to look old. He provided the image below, and it does look spot on. So this once again seems to be Santilli up to his old tricks. Why doesn’t he give up? Maybe he loves the attention and is still making money. He claims he may release the entire film at some point in the future, but I would guess it would need to involve a lot of money and that it will be inconclusive in the end. Well, not everyone. Most UFO researchers didn’t buy it, but many UFO enthusiasts have. Either way, many interested in the UFO phenomenon will find it hard to forgive Melaris as the search for the smoking gun continues. I’de be willing to wager that if a smoking gun is found, it is not Santilli who has it. October 2, 2017: Jon Auston of the Daily Express followed up on his interview with Santilli. He found an expert who agreed with Brando’s discover that the “new” image was actually a doctored still from the hoaxed film. Auston also attempted to get a resonse from Santilli on this discovery, but Santilli seems to be alluding him, and has yet to make a statement.You can read the new Daily Express article here.